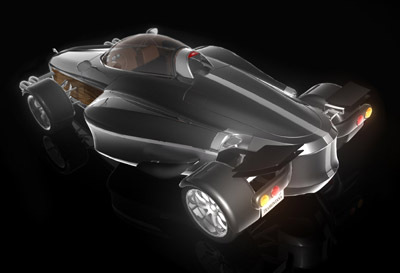 The a. d Tramontana concept was an preview of an extreme sports car developed on the Costa Brava, in Spain. 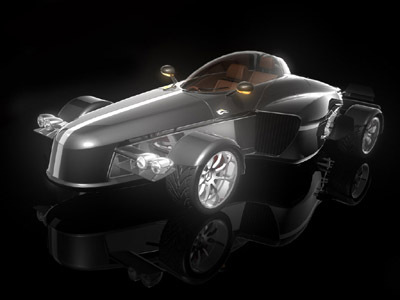 The a. d Tramontana concept is a blend of new and old technology and style. First displayed at the 2005 Geneva International Motor Show, only 12 Tramontana production cars are destined to be built each year. Making it the reserve of the wealthy enthusiast, especially with a price tag in the region of $660,000. The striking shape of the a. d Tramontana is influenced by fighter aircraft, this has resulted in the tandem seating configuration and the two large air inlets either side of the cabin. 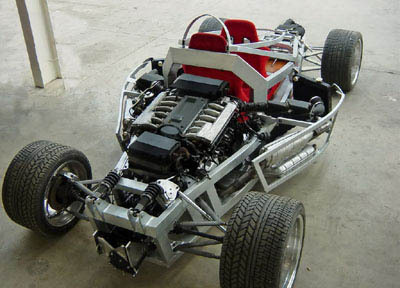 Each Tramontana is handmade from some of the most expensive and lightweight materials including carbon fibre, aircraft grade aluminium, stainless steel, gold, and wood treated with an ancient Japanese lacquer. Different. Buyers of an a. d Tramontana will have the luxury of customising the car to their tastes, as well as being measured to fit their car perfectly. Despite its diminutive size the a. d Tramontana's occupant are well protected should there be an accident, this is thanks to a non-deformable passenger area with eight impact-absorbing areas. All this gives protection similar to a professional racing car. Power for the a. d. Tramontana concept comes from a rear mounted V12 engine developing over 500 horsepower.